Art studies: Art Students League. New York: 1970-74. “Marbletown”. Photography. 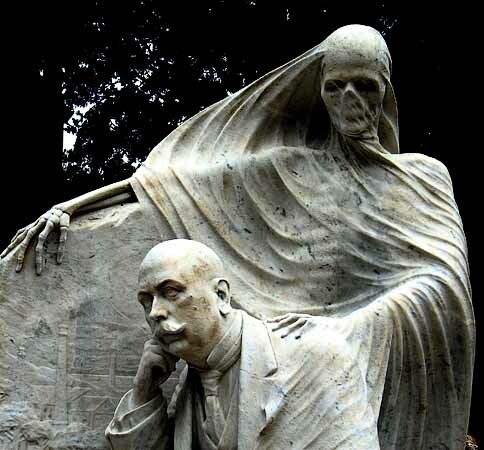 Funerary art in the world´s cemeteries. 2007 “Tulip Madness”. 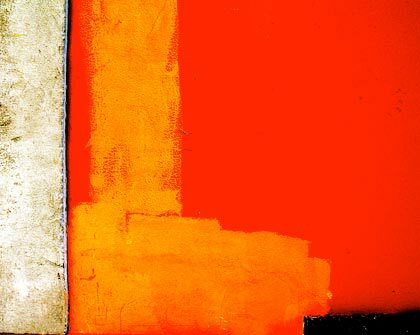 Painting and photography. 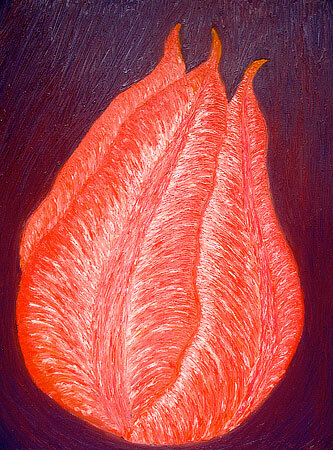 The organic structure of the tulip in the process of abstraction. Black Nexus Studio. New York. 1997 “Light Boxes”. Photography and sculpture in its tridimensional capacity. 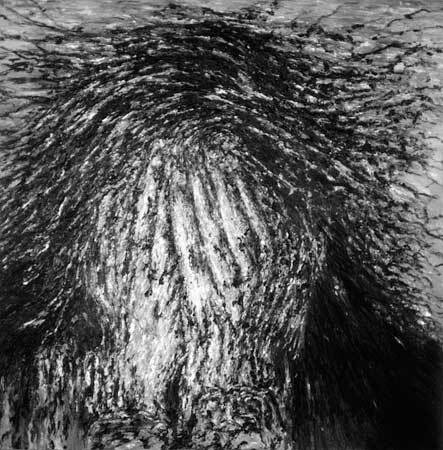 1996 “Gestures”. Painting. Spanish history through close-up gestures. through the tarotic symbolism of the Spanish deck of playing cards. Galería Moriarti. Madrid. during the artists childhood under the dictatorship of Generalísimo Franco. “Catón”. Alex Lachmann Gallery. Cologne, Germany. 1988 “Black Paintings”. M-13 Gallery. New York. “Paintings and Drawings”. Christian Fochem Gallery. Krefeld, Germany. “Flesh, Bones and I”. Paintings. Sander Gallery. New York. 1985 “Paintings”. Anna Friebe Gallery. Cologne, Germany. 1992 “Col.lecció Testimony. Fundació La Caixa. Barcelona. 1988 “Augen Blicke”. Itinerary Museum exhibits. 1987 “Lust”. M-13. Gallery. New York. 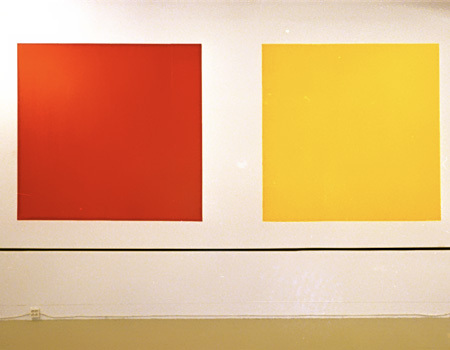 1986 “Art in Galleries”. Kunst Kunstverein Museum. Krefeld. Germany. 2000 “The gallerist is the new Prophet”. Article. Die Welt. Berlín, January 19th. 1997 “ América S.A.” Non fiction. Editorial Planeta. Barcelona. 1994 “Catón”. Interview. White Walls. Journal of Language and Art. 33/34. 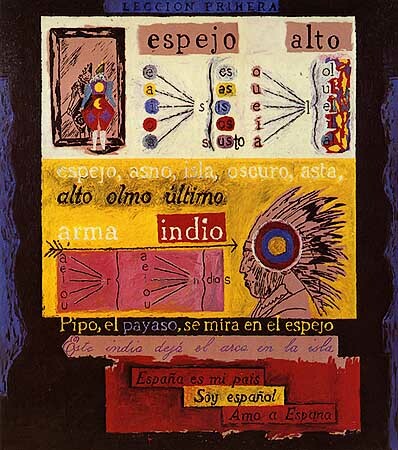 1993 “Rompecabezas americano” (American puzle). Article. El Europeo. 1996 “Gabriel Halevi recrea en Gestos la historia española”. M.A. Molina. ABC. “Baraja española”. Miguel Fernández Cid. Diario 16. October 14. “Gabriel Halevi, solitario y español”. J.L. Gallero. ABC de las Artes. Madrid. “Die Reproducktion is das Kunstwerk”. H.D. Terschuren. Bonner Rundschau. “Ein Bild formuliert sich Selbst”. E.M. Severin. General Anzeiger. Bonn. “Madrid-Köln. “Caton”: Lektionen von Halevi. ABC des Faschismus”. Dr. Gerhard C. Rump. Die Welt. Berlin. October 18. “Manipulation der Kinder”. E..v. Stein. Kölner Stadt-Anzeiger.Köln. October 26. “Nombrar el conflicto”. Miguel F. Cid. Cambio 16. Madrid. May 16. 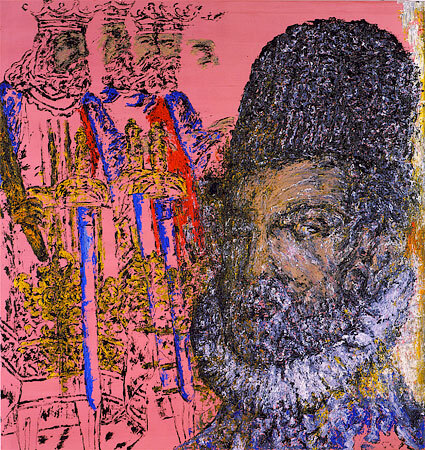 “Gabriel Halevi”. Interview. Lola Diaz. Diario 16. May 16. “Venganzas antiimperiales”. Juan M. Bonet. ABC. Madrid. April 25. “Gabriel Halevi en el laberinto”. Ignacio R. Quintano. Cambio 16. Madrid. April 22. “España es mi país. El Catón de Gabriel halevi”. M.R. Barnatán. El Mundo. April 18. “Gabriel Halevi: Fotocatón”. Javier Utray. Catálogo Exposición Salón de los 16. Palacio Velazquez. Museo Nacional Reina Sofia. Madrid. October 31. “Mit imaginativer Kraft”. Christiane Vielhaber. General Anzeiger. Bonn. September 3. “Gabriel Halevi at M-13”. John Ash. Art in America. June. “Halevi”. David Matlock. Art World. New York. March 14. 1986 “Ein Mystisches Geraune und parfümierte Brust”. Ipa, WZ. Krefeld. March 14. “Die Kultur weggewischt”. Dr. Charles C. Rump. Kölner Kulturleben. Köln. “Endekt: Gabriel Halevi. Von jeden Pinselstridh unberrascht”. Barbara Gomm.